 At Ripe to You® our team specializes in cultivating more than 50 varieties of unique citrus, and we are always looking to add new and distinctive fruit to our collection. Some of our citrus is so unique that it only grows on a few trees, while other varieties grow on acres of land. So, you can understand why we can’t sell all our fruit online. Please, check our online store often to see what we are currently shipping directly to your door. From the start, we have had a passion for growing unique citrus. Some of our favorites include the Buddha’s Hand Citron, Mandarinquat, Tarocco Blood Orange, and Bergamot. The scale swings from the naturally sweet “old line” Heirloom Navels to the naturally sour Seville Sour Orange, plus a few more to fill out the middle of the spectrum; who doesn’t like the pink flesh of a Cara Cara navel or the exotic flair of a Blood Orange? What can we say – we’re mad for Mandarins! From the subtle flavor of the Satsuma to the tropical flavor of the Shasta Gold, we truly have a mandarin for everyone! Some are big, some are small, and some are even striped, but what they all have in common is exceptional flavor!